1.00 2014-08-20 GTheGuardian Initial release. 1.05 2014-10-27 Valley Bell Optimized VGMs. 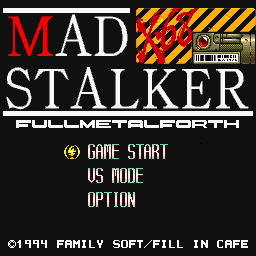 "Mad Stalker X68 Original Sound Tracks"